Eyebrows frame your face and finding the perfect product for my brows has been an on-going situation for a couple of years now. I've tried pencils, eyeshadows and waxes and whilst they all work to some degree they haven't given me the natural look I've been searching for. Back in my school days I picked and plucked at my eyebrows until they were pencil-thin. I'm trying to convince myself it was the fashion back then.... haha The problem is now I"m suffering the consequences of that with sparse uneven eyebrows. Big dramatic entrance for Benefit Brow Zings. This is a recent buy of mine and is now my Holy Grail product for eyebrows. 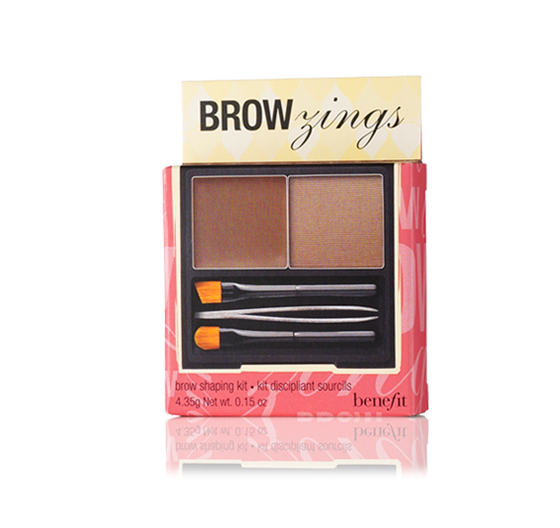 The wax defines my eyebrows and the powder sets the wax and fills in any/all gaps. I'm left with perfectly defined eyebrows that match my colouring perfectly and only takes me about 30seconds. It comes in three shades; light medium and dark. I have fair skin but dark hair so use the medium shade. I so agree to the fact that eyebrows are one of the most prominent and important feature of a person's face. Finally i got to know about a perfect product for my tricky eye brows and I am getting it today only. 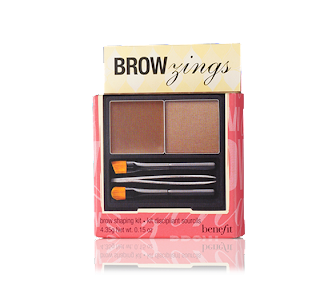 Similar kind of HD brow products have become quite popular in the market and they give very good results giving fuller and bigger brows. This helps to give a younger appearance to your face. It is indeed a good choice. As for someone doing their coursework can consult professional essay writing service which provides expert help.